GFRC (Glass Fiber Reinforced Concrete) panel system. Custom Board Form Finish. PCI National Merit Award Winner. Willis Construction has the distinct qualification of being a PCI Certified Precast Manufacturer. 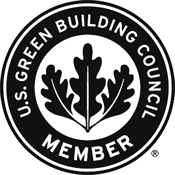 PCI (Precast Concrete Institute) certification standards represent the highest level of competency and quality for the Architectural and Structural Precast industry. This certification is an Architects/Designers/Specifiers only practical means of confirming that a manufacturing plant has an ongoing quality assurance system in place. Participation in this program means the plant must consistently demonstrate their commitment to quality principles and procedures. PCI trained and qualified inspectors examine all aspects of plant operation including engineering practices and management commitment. Specifying products from a PCI-Certified plant ensures that bidders have an ongoing quality system in place, the experience necessary to deliver a quality product and a history of quality assurance. PCI-Certified plants are required to develop and maintain a detailed Quality System Manual (QSM) compiled according to industry standards, approved by PCI, and available for review by project owners. Avoid surprises during the construction process by requiring certification in project specifications. PCI-Certified precast concrete plants bring to each job a host of skills and efficiencies that can aid the construction process, especially if the precaster is brought into the design process early. The precaster can provide input on dramatic architectural effects, efficient sizes and shapes, value-engineering options, state-of-the-art connection systems, and other aspects that produce aesthetically pleasing, functional, and cost-effective projects. PCI Certification is one of the industry's only programs that randomly checks that precast concrete products are being produced in accordance with project specifications, not just a quality control manual. PCI's standards for quality precast concrete production and erection are difficult to achieve. Once attained and practiced consistently, these standards contribute to improved and continued customer satisfaction not only by ensuring that the manufacturing and installation processes are high quality, but by making the construction process faster and smoother for all parties involved. The standards ensure that plants consistently maintain high-quality operations and output through daily internal-control processes and inspections of operations, materials, equipment, products, and processes. All PCI Producer Members are required to maintain PCI Certification for their plants. Producers are not required, however, to join PCI to participate in the PCI Certification Program, ensuring objectivity for the entire process. Owners, architects, engineers, and contractors all benefit when precast concrete components, products, and erection services are provided by PCI-Certified companies. Knowledgeable specifiers choose PCI-Certified companies because they know the PCI Certification process confirms the ability to manufacture and install quality components according to national, published industry standards. Doing the job right the first time saves material and labor costs while preventing schedule delays. PCI-Certified plants are capable of producing uniform, consistent products that eliminate many potential problems. Using quality products leads to more efficient field operations, which in turn prevents schedule delays. Quality-control systems ensure that components are properly identified and delivered in the appropriate number and order and then fit together quickly, often resulting in reduced on-site labor and scheduling costs. There is no cost to the owner or specifier for using a PCI-Certified plant. In fact, the efficiencies and processes inherent in a PCI-Certified plant often cut waste and reduce costs associated with repairs, rejected products, and delays. Owners, architects, engineers, and contractors all benefit by working with precast concrete plants and erectors that employ PCI-Certified quality-control personnel and auditors. These professionals can effectively and efficiently develop and implement a quality-control program, and in many other ways help improve the quality component of the precaster. Their input can help companies cut costs even as they produce better and more efficient precast concrete components and building systems. Demand for qualified personnel continues to grow. Plant Quality Personnel Certification is required by over one third of state departments of transportation. These agencies require PCI Certification not only for plant personnel but also for their own materials inspectors and quality-assurance personnel. Achieving Plant Quality Personnel Certification status is a demanding task, but those who rise to the challenge improve their proficiency and provide better service to the precast concrete structures industry. PCI Certification is a reliable means for ensuring that the precaster working on your project meets the highest possible industry standards. Not All Certification Programs Are Equal! PCI Certification is more than audits and documentation. It is based on comprehensive expertise. For over 50 years, PCI has set the standards and developed the knowledge for the design and construction of precast concrete structures. This feat is set on the foundation of millions of dollars of research, dozens of technical guides and manuals, a network of over 80 committees, PCI's professional and experienced staff, and the support of over 2,000 PCI members. 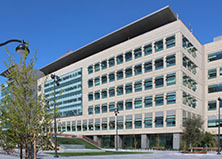 No other organization offers such comprehensive oversight of precast, prestressed concrete design and construction techniques. By specifying PCI Certification, you are ensuring that your precast, prestressed concrete components will be manufactured and installed according to stringent industry standards.